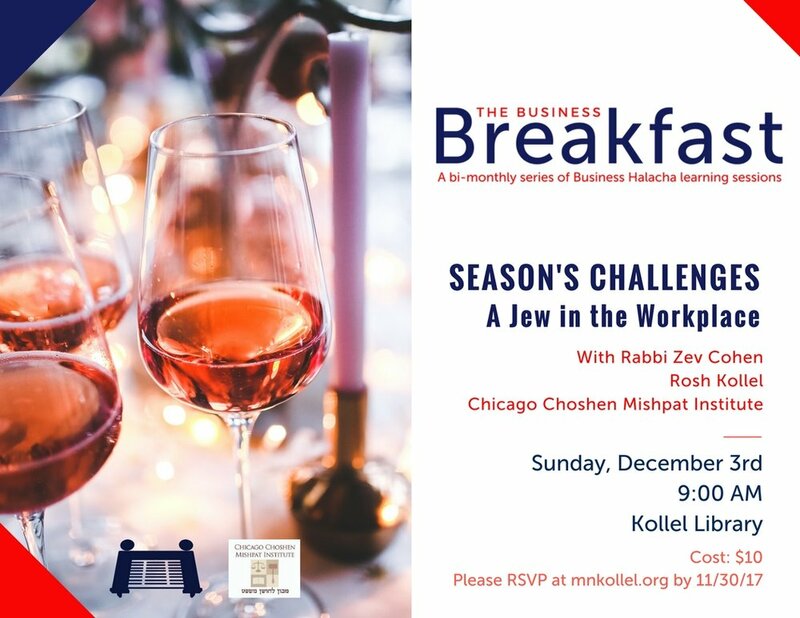 The brainchild of Mr. Ron Mandelbaum, we have teamed up with the experts of the Chicago Business Halacha Institute to bring you bimonthly breakfast sessions that focus on relevant business Halacha issues. A must for the conscientious businessman! While the country sleeps in, we make the most of our days off. This ever-popular community Chavrusa session/shiur tackles interesting in-depth topics with a side order of donuts and coffee.